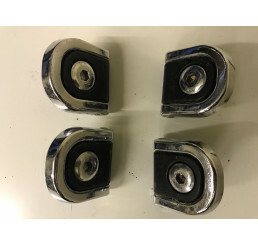 Boot Floor Securing EyeletsGood used condition,A set of 4 as shown in photo.. Discovery 3 / Range Rover Sport 2.7 Tdv6 Trailer Link Wiring Loom 4H22-15R555-DAGood used conditionA.. Discovery 3 / Range Rover Sport 2.7 Tdv6 Trailer L.. Range Rover Sport Interior Auto Dimmer MirrorIn good used condition and works as it should.Free UK m.. Range Rover Sport L320 Manual And Handbook CoverNavigationDriver InformationOwners Manual..